In Season 1, Derek is a beta werewolf, in conflict with the Argent family of hunters, a reluctant ally of Scott McCall and Stiles Stilinski, and is searching for an alpha werewolf who murdered his sister, Laura Hale. To avenge Laura's death and prevent Scott from dealing with the burden of being an alpha when he didn't even want to be a werewolf, he kills the alpha, his uncle Peter Hale. Now an alpha, he bites Jackson Whittemore. In Season 2 Derek forms a pack biting Isaac Lahey, Erica Reyes, and Vernon Boyd. He discovers that Jackson's bite went wrong, turning him into a kanima which started killing people at the command of a kanima master. Derek takes responsibility for this and attempts to stop it from killing more people. All the while he also had to deal with the Argents, especially Gerard Argent, hunting him and his pack. Erica and Boyd became frightened by the mounting dangers they faced and decided to run away, but were captured by the Argents and later by the Alpha Pack. Scott went behind Derek's back in formulating a plan to stop Gerard by replacing his cancer medication with mountain ash so that he would reject the bite. He then forced Derek, who was paralyzed by kanima venom, to bite Gerard, incapacitating the hunter. 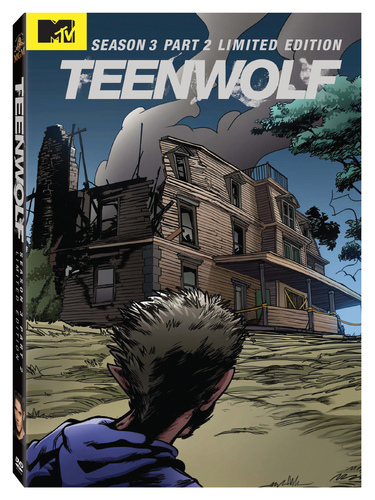 With the help of a newly resurrected Peter they find out how to turn Jackson from a kanima into a werewolf. They accomplish this with the help of Lydia, who Jackson was able to recognize while in his kanima state. In 3A, Derek finds himself at war with the Alpha Pack, discovers his long-lost younger sister Cora Hale is alive and reunites with her, but is shattered following the deaths of Erica and Boyd. He is magically roofied by Jennifer Blake who uses the power of the virgin sacrifices to emulate certain aspects of Stiles and reenact some of the scenes where Stiles and Derek had built up a strong bond of trust. Although not directly confirmed, this is one of many pieces of evidence that suggest Derek has romantic feelings for Stiles. At the height of Jennifer's spell, she rapes Derek while he is in a vulnerable state after almost dying in a fight against the alpha pack and from his extreme depression from his situation. Stiles is later able to free him from her spell after informing Derek that she kidnapped his dad. Derek sacrifices his alpha status and power to heal a dying Cora who had been poisoned by Jennifer. He plays a major role in defeating Deucalion and Jennifer by outwitting her into using up her power to heal Deucalion's sight, a debt that Deucalion later repays by sending Braeden to free him from the Calaveras at the start of season 3B. After sacrificing his alpha status, Derek appears to be an exception to the usual alpha-beta-omega werewolf status roles as he does not join Scott's pack as a beta but maintains a level of strength somewhere between his alpha state of season 3A and his beta state of season 1. In season 3B he communes with his mother in a dreamscape and then proceeds to spend much of season 3B in search of Stiles and trying to figure out how to save him. Along the way he settles his differences with Chris Argent, putting their negative history behind them. Derek deciphers a message left for him by Stiles on Stiles' chessboard and leads the twins in a final stand against the Nogitsune and the oni, then comforts a dying Aiden. At the end of the season, it is revealed that Stiles has become Derek's anchor, a transition that likely occurred in the later episodes of season 3A. In an interview with Afterbuzz, Jeff Davis revealed that this scene was based on the short story An Occurrence at Owl Creek Bridge. This short story features a man's dying dream where he escapes from being hung to return to his wife, further suggesting that Derek is meant to have romantic feelings for Stiles. 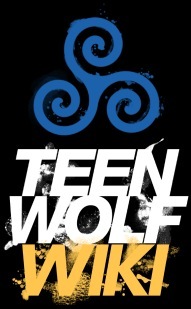 In Season 4, Derek is cast under a spell by Najual-jaguar Kate Argent which de-ages him into a teenager, making it easier for her to manipulate him again as she had in the past. On returning to his normal age Derek slowly loses his werewolf powers, effectively becoming human. He starts a casual relationship with Braeden while she teaches him hand-to-hand combat and how to use handguns, but he later implicitly ends their relationship while rejecting her weapons before heading to Mexico on a mission to rescue Scott and Kira. 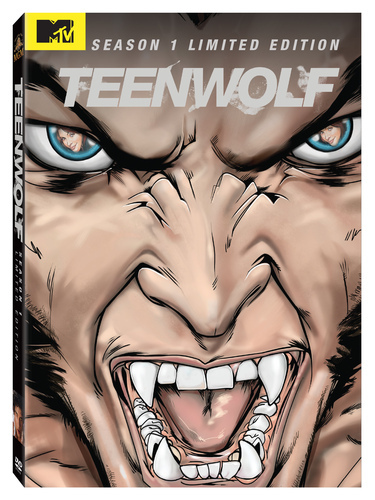 At the end of Season 4, Derek is killed by a berserker, but is reborn as an evolved werewolf with the ability to transform into a full wolf, the most powerful transformation a werewolf can achieve. He leaves Beacon Hills at some point between returning from the rescue mission and the start of Season 5. Derek returns during the second half of Season 6. After these incidents, Derek expresses most of his emotions as anger and displays symptoms of PTSD. He's quiet, brooding, and prefers taking action to making plans. He's initially seen as a villain by Scott, but underneath his hardened exterior Derek hides a great deal of pain, loneliness, and a strong desire to help others avoid his fate. Despite being a victim of multiple assaults, betrayals, and manipulations by others where his will and volition are stripped away and his body is used by others for their own ends, Derek persistently endures the horrors he comes up against and refuses to give up, continually working to try and protect people. Derek is naturally quiet, sarcastic, brooding, irascible and prefers his own company, but possesses great strength of character. Upon rising to alpha status, Derek exhibits hotheadedness from the rush of power and expectation that he'll be able to protect the people he cares about from any enemy. He is unprepared for the responsibility of leading a pack, and his inexperience is reflected in the losses both he and his pack experience. With the exception of Jackson, he forms his pack as a sort of chosen family in order to help outcasts who are as lonely as he is. When faced with the threat of the kanima, he is pushed into running aggressive training sessions for his betas in hopes that it might give them a chance to survive. He prefers taking action against the kanima instead of making extensive plans in order to minimize the casualties that were piling up. This rashness led to suspecting that Lydia was the kanima based on a false positive result from the test he was using to discover the identity of the kanima. Derek is deeply hurt by Scott betraying and dehumanizing him in 2x12 Master Plan which contributes to his change in demeanor and his reluctance to involve Scott at the start of season 3 after Erica and Boyd are captured by the alpha pack. Derek becomes more reserved after dealing with the kanima, Scott's betrayal, and enduring a long summer searching for his betas. Upon discovering his younger sister Cora being alive and well, Derek starts to show more of his emotions. He cares for Cora, is protective of her, and cares about what she thinks of him. After the death of Erica and being used as a weapon by Kali and the alpha twins to kill Boyd, he is shattered. To save Cora from death, Derek decides to sacrifice his alpha status to heal her as instead of helping him to protect the people he cared about, it only made them a bigger target. By Season 3's end, Derek has greatly matured. He takes on a similar role to the other adults, working with them as well as independently, and as a mentor to the teens. Derek's mother, Talia Hale, was the Alpha of the Hale Family and guardian of Beacon Hills. He had an older sister Laura and his younger sister Cora was born five years after him. His uncle Peter watched out for Derek and sometimes acted as a bad influence on him. Having been born a werewolf, and his family being prominent due to his mother's powerful shapeshifting ability, Derek came into contact with multiple packs.++++. In his teenage years, Derek attended Beacon Hills High School where he played basketball. One day when he was fifteen, he was practicing basketball in the school hallway with his teammates. A girl walked out of music practice complaining about the noise they were making interrupting her cello lessons. Derek got on her nerves but later apologized. She told him she would tell Derek her name if he could play one instrument in the music room. He tinged a triangle. Paige introduced herself. Despite having got off on the wrong foot, Derek entered into a romantic relationship with Paige. He began to fall deeply in love with her, and she with him. Their favorite spot to escape to was an abandoned distillery outside of Beacon Hills. At some point, the Argent family of hunters came into town, hunting a feral Wolf from a neighboring Pack. Derek was caught up in the skirmish and witnessed the werewolf being shot to death. Peter found him, they fled and kept themselves safe, following the issued instructions werewolf are taught if they are to come across hunters: "hide and heal". They hid in a tree root cellar for two days. Though they didn't know it, they'd hid in a Nemeton. Derek was content in his relationship with Paige. Peter told his nephew she was perfect for him. One of the original ideas for this episode was that Stiles would find Derek had been taken by the Wild Hunt and they would work together to get out. Derek bringing Stiles's keys with him on the return trip to Beacon Hills would be given additional significant meaning by being both Stiles's artifact and a physical representation of Derek's anchor (it was confirmed that Stiles is Derek's new anchor at the end of 3x24 - The Divine Move). As Tyler Hoechlin was unavailable due to scheduling issues, this was re-written to use Peter instead. Archive quote/cropped and enlarged image on Tumblr.